Hey travelers, we've got something to brighten up home base. 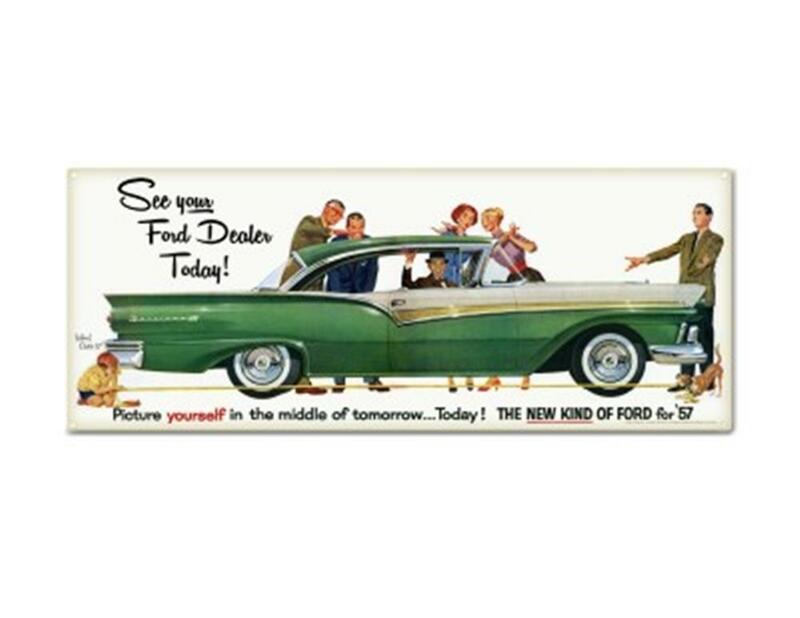 Made from durable tin and featuring vibrant retro-inspired powder coated graphics, we're The See Your Ford Dealer Metal Sign will fit right in! All are pre-drilled and ready to hang. 26" x 13"